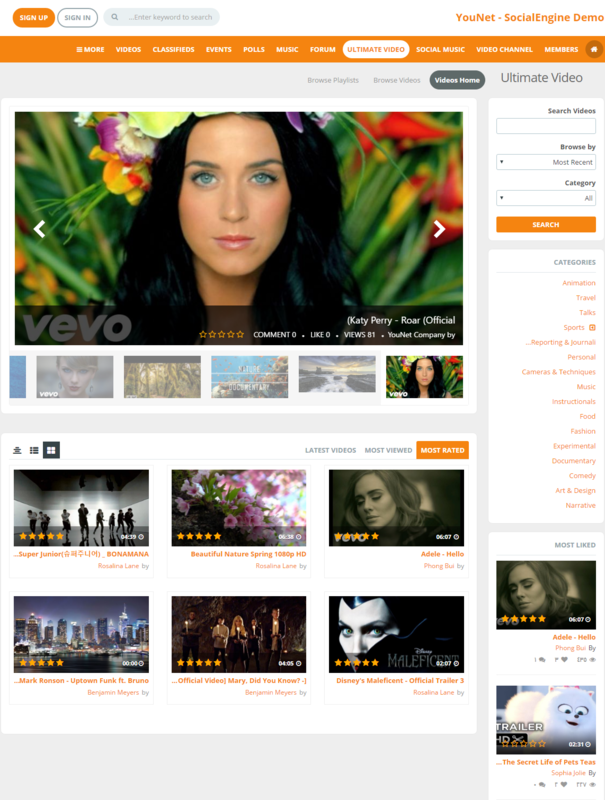 With out-of-box thinking, with idea of sleek, modern and most friendly layout to customers, Ultimate Video were created, were generated to fulfill all of these wanted features. 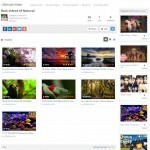 Stand-alone plugin without requiring default video plugin, Ultimate Video supports full features of Advanced Video and is able to stream videos from YouTube, Dailymotion, and Vimeo right on your site. 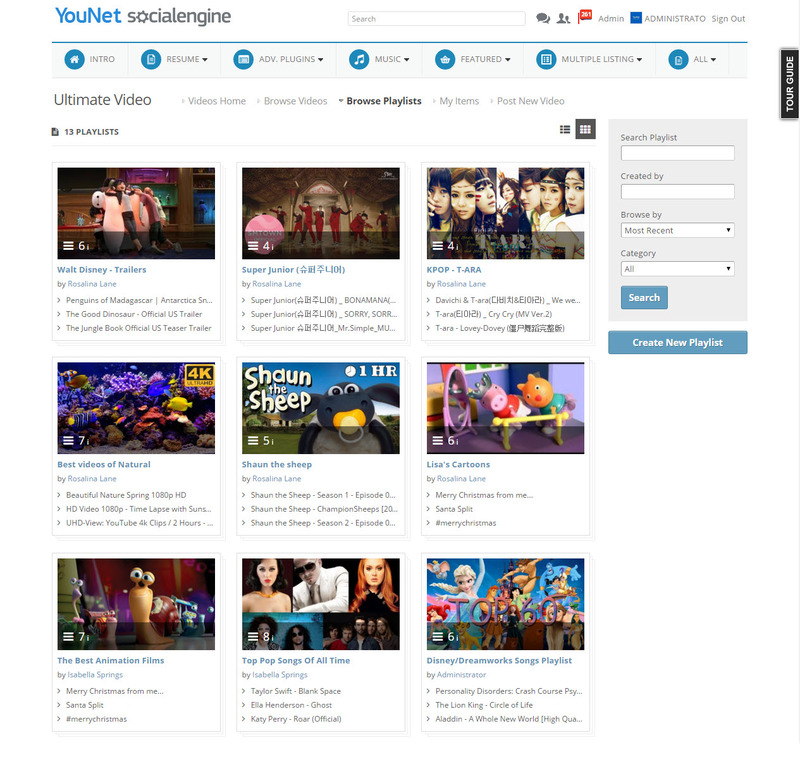 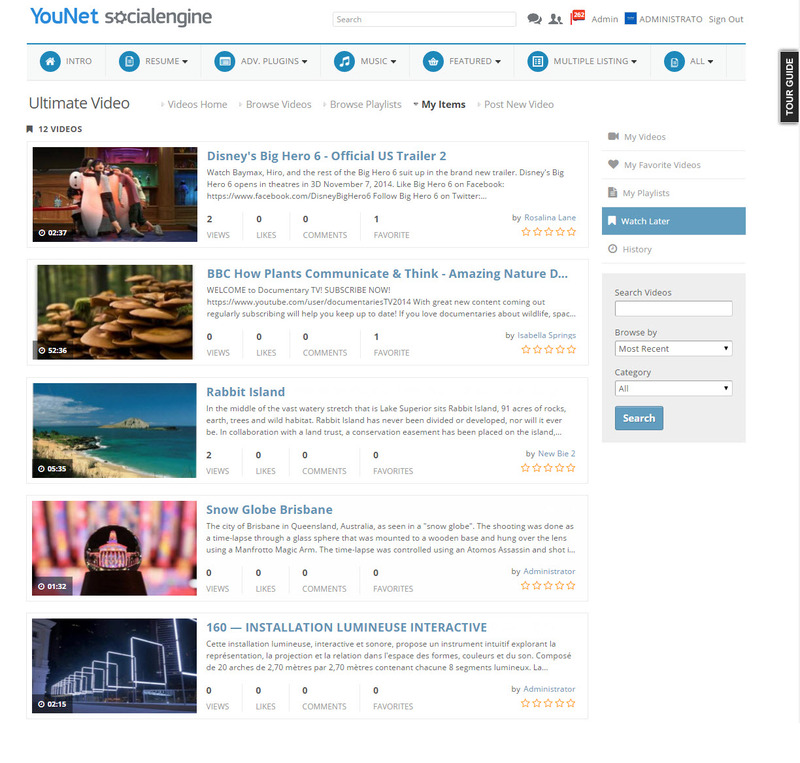 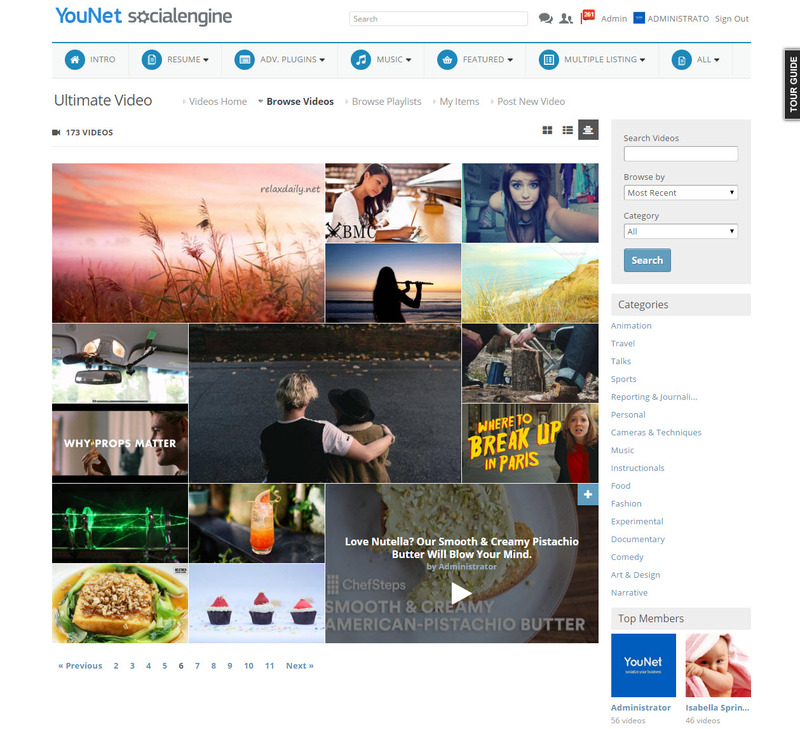 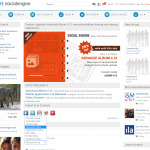 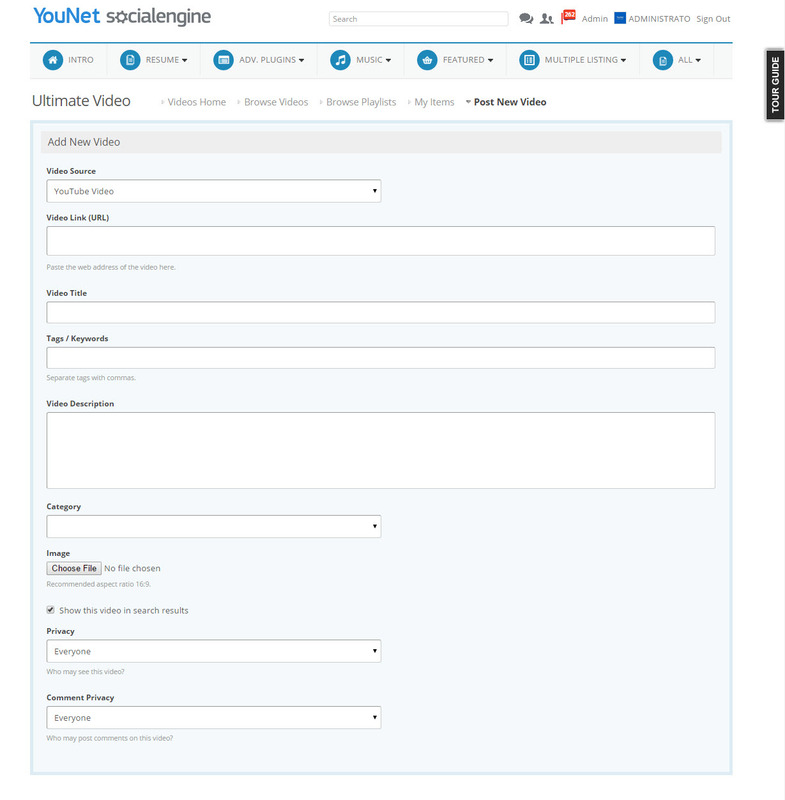 In this new evolution, other than mobile web user experiences, by connection with YouTube account, videos are uploaded from SocialEngine directly to YouTube. 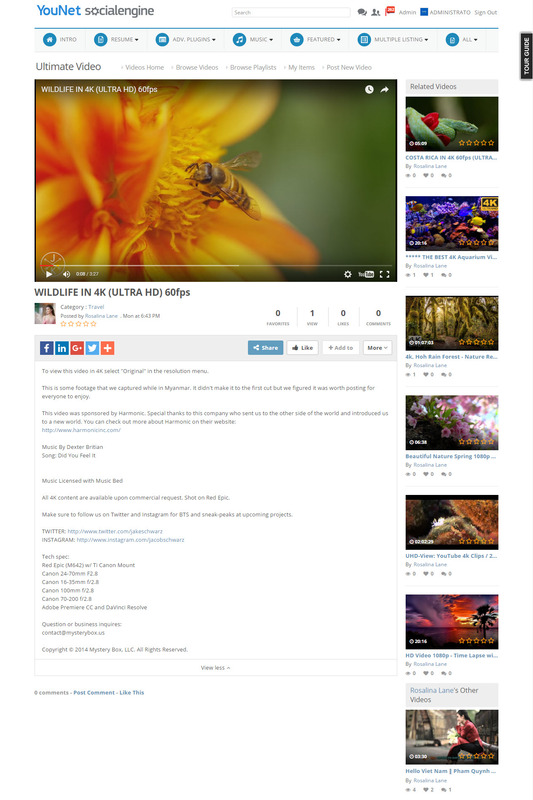 Moreover, this plugin also supports many more video widgets and many more other features such as different mode views, separated playlist page, integrate with other plugins. 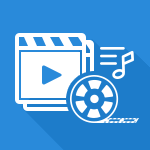 In order to upload video from computer, the FFMPEG is required. 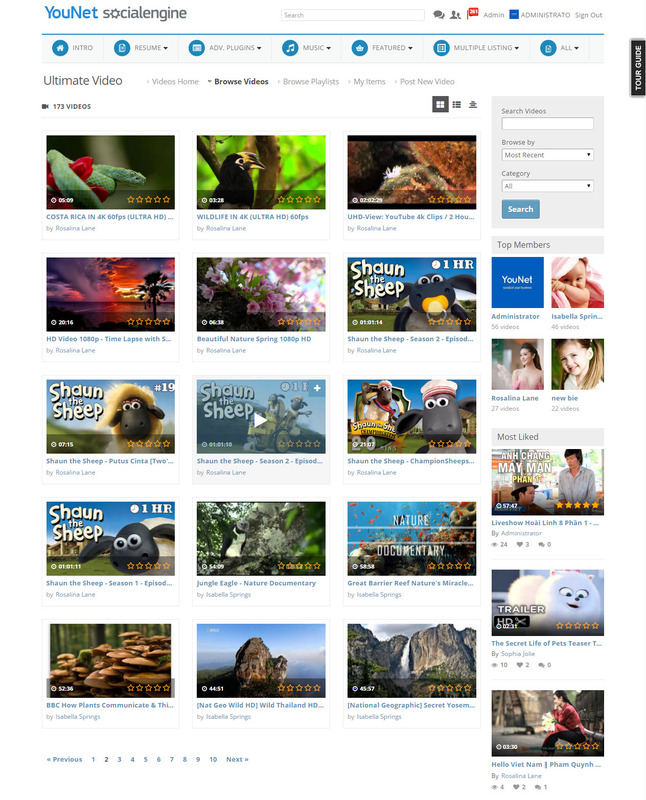 For more info about our FFMPEG installation service, please refer here. Improve playlist features, support Autoplay, Repeat, Shuffle videos. 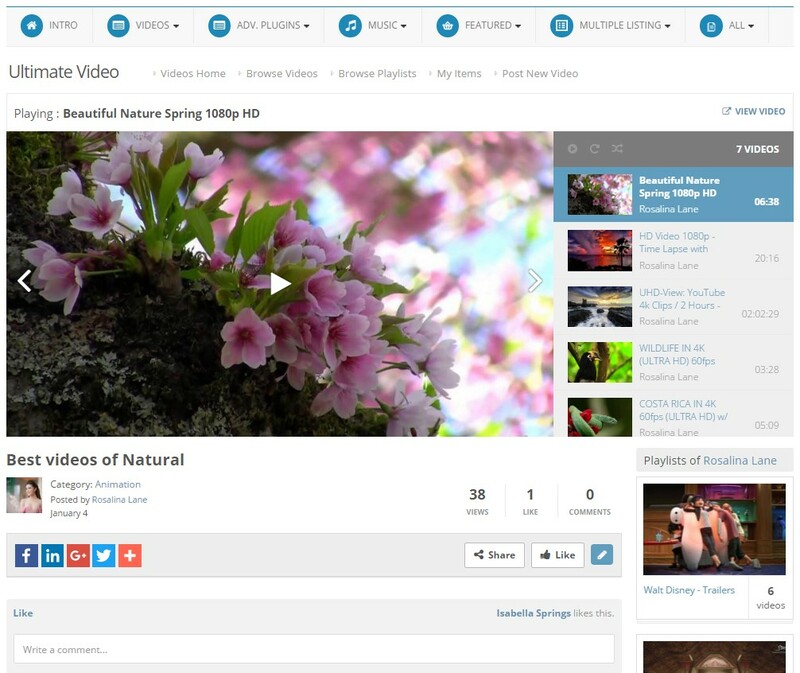 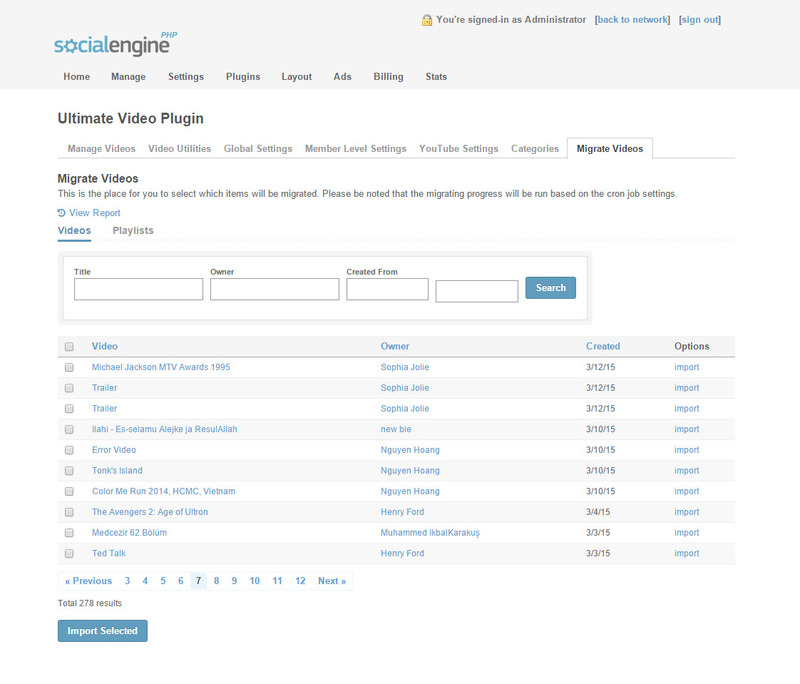 Admin is able to manage all the videos in a site by View/Edit/Delete/Feature videos. 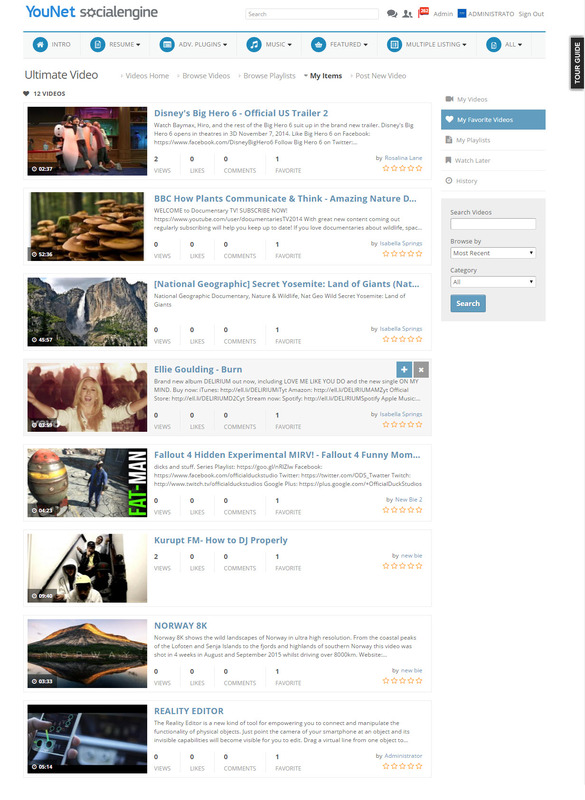 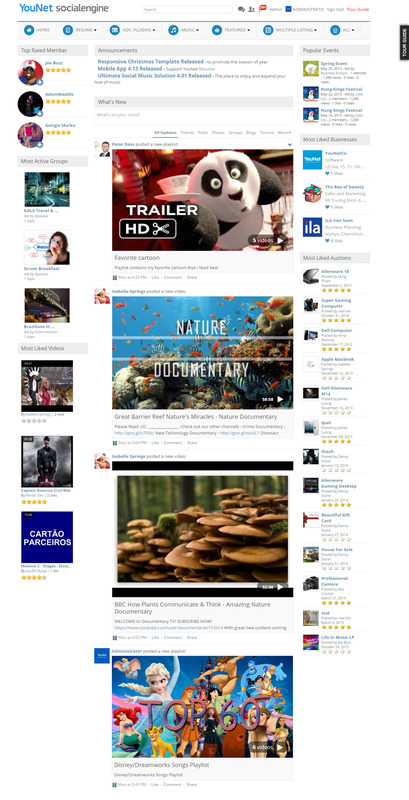 Question 1: How to change Featured Videos widget from Horizontal Thumbnails to Vertical Thumbnails and vice versa? 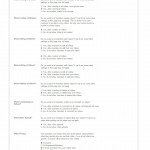 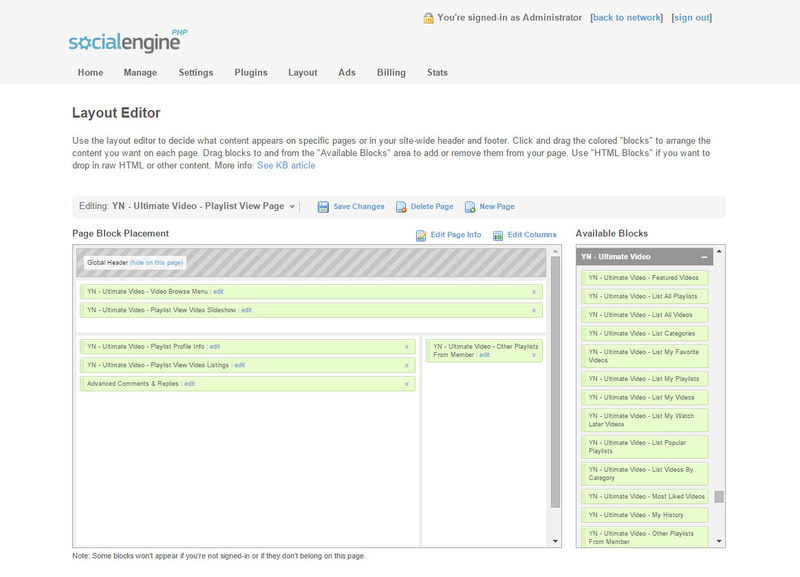 Question 2: How to change styles of Playlist Details? 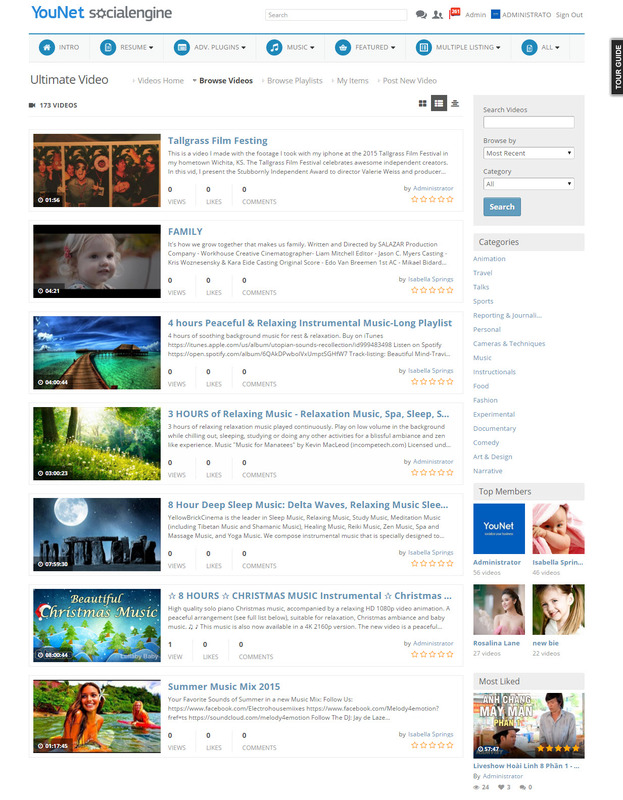 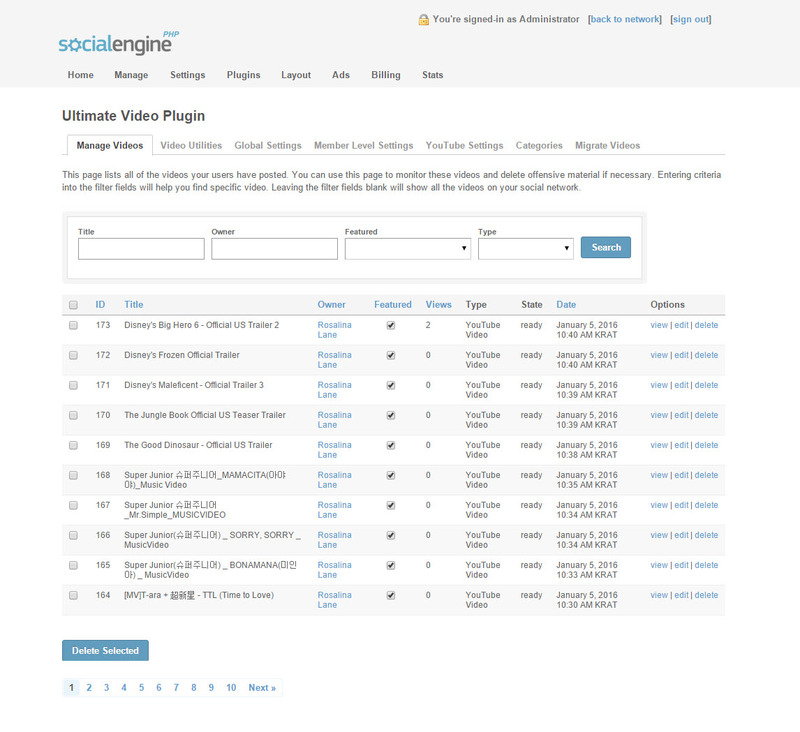 Question 3: How to define the number of Videos/Playlists displayed on listing page? 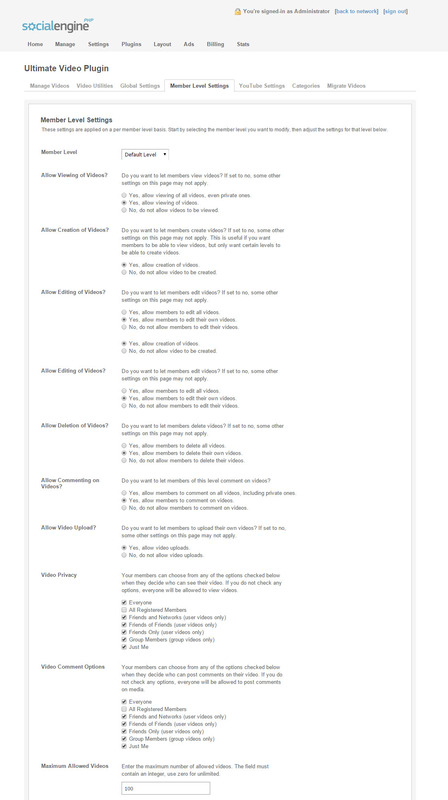 Question 4: What is the Watch Later feature? 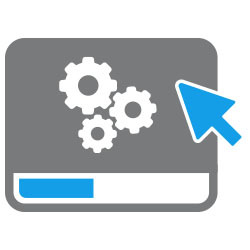 Question 5: What is the Watch It Again widget? 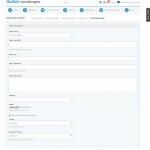 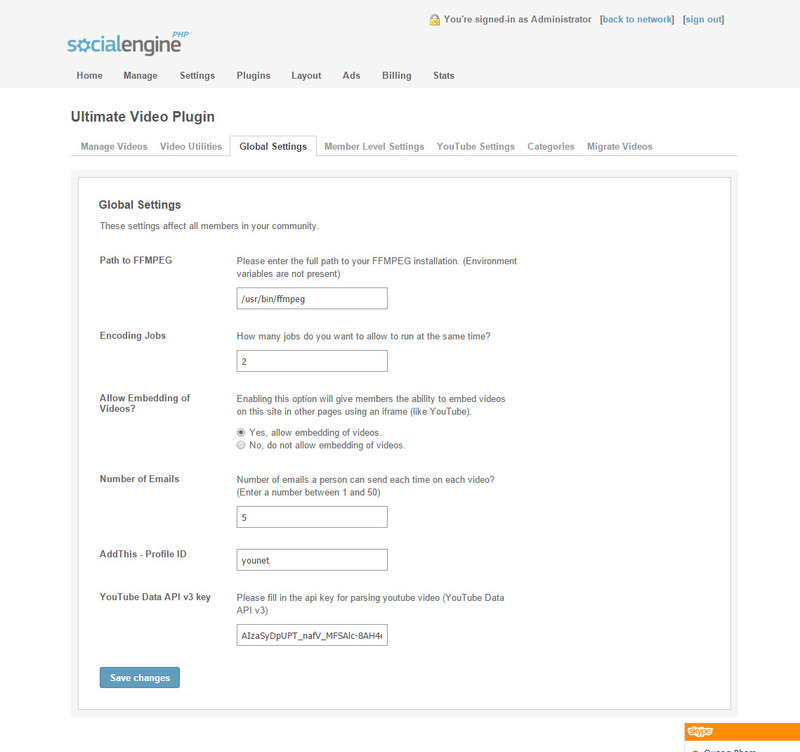 Question 6: How to configure the default mode view for Video listing? 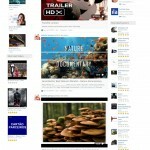 Question 7: Does Ultimate Videos work on Mobile View? 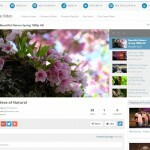 Question 8: Does Ultimate Videos work on Responsive Templates? Question 9: Does Ultimate Videos work on Mobile Application? 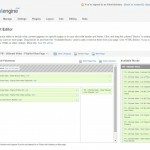 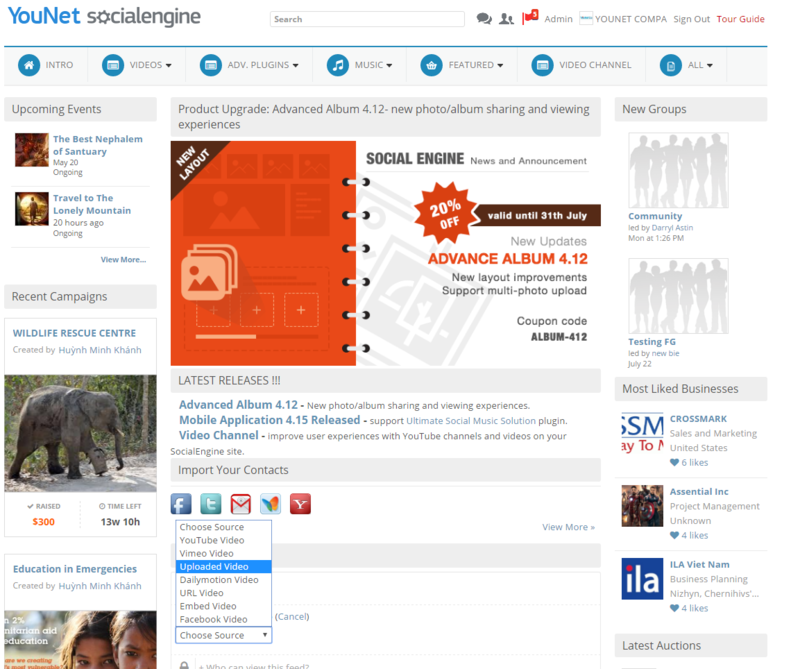 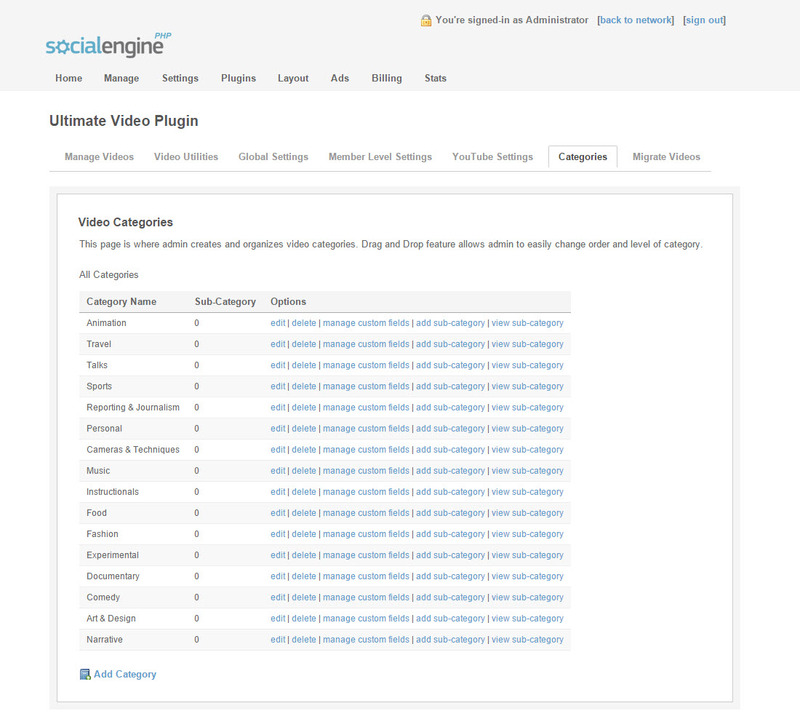 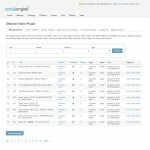 Question 10: Do I have to install default SocialEngine Video plugin in prior to install Ultimate Videos? 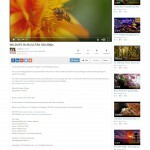 Question 11: Why do uploaded videos take so long to process? 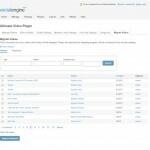 Question 12: Why can’t some of the video formats be processing after uploading? 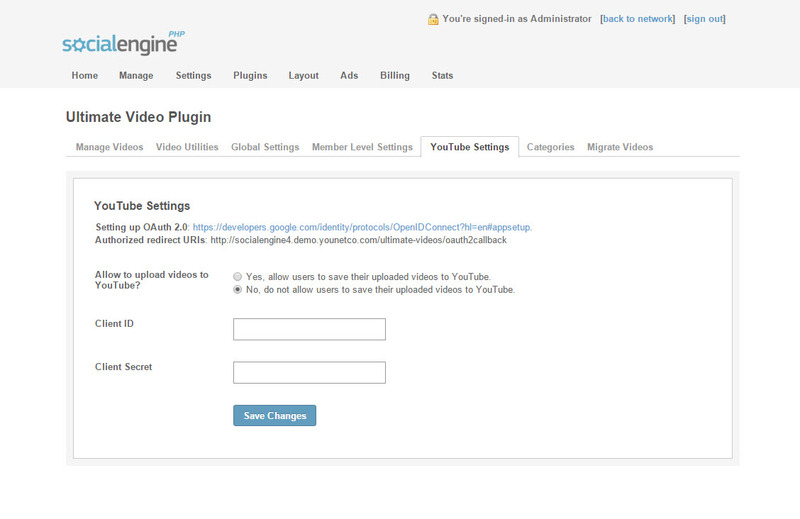 Question 13: How does ‘directly uploading videos to Youtube’ work?